As much as we love science fiction on TV, on the big screen, on the comics page, and in video game form, there’s just something irreplaceable about digging into a good book. There’s no shortage of new sci-fi adventures hitting shelves on a regular basis, but GFR is your one-stop shop to keep up with what’s hitting shelves in a given week. Here’s what’s new on the Giant Freakin’ Bookshelf! As a deputy commissioner for the ICC, Alan Decker’s job is to make sure the settlements on LV178 follow all the rules, keeping the colonists safe. But the planet known as New Galveston holds secrets, lurking deep beneath the toxic sands dubbed the Sea of Sorrows. 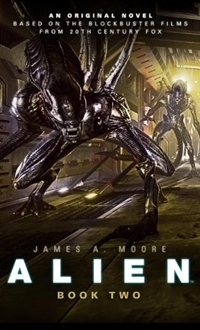 The Weyland-Yutani Corporation has secrets of its own, as Decker discovers when he is forced to join a team of mercenaries sent to investigate an ancient excavation. Somewhere in that long-forgotten dig lies the thing the company wants most in the universe — a living Xenomorph. Decker doesn’t understand why they need him, until his own past comes back to haunt him. Centuries ago, his ancestor fought the Aliens, launching a bloody vendetta that was never satisfied. That was when the creatures swore revenge on the Destroyer…Ellen Ripley. Clementine has spent her whole life preparing for her 16th birthday when she’ll be tested for Extraction, in the hopes of being sent from Kiel’s toxic Surface to the much safer Core, where people live without fear or starvation. When she proves promising enough to be ‘extracted,’ she must leave without Logan, the boy she loves. Torn apart from her only sense of family, Clem promises to come back and save him from brutal Surface life. What she finds initially at the Core is a utopia compared to the Surface — it’s free of hard labor, gun-wielding officials, and the moon’s lethal acid — but life is anything but safe, and Clementine learns that the planet’s leaders are planning to exterminate Surface dwellers — and that means Logan, too. Trapped by the steel walls of the underground and the lies that keep her safe, Clementine must find a way to escape and rescue Logan and the rest of the planet. But the planet’s leaders don’t want her running — they want her subdued. 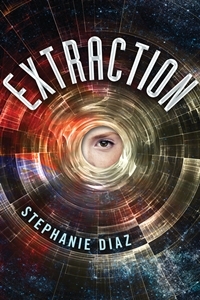 With great writing, fluid dialogue, and a cast of unforgettable characters, Stephanie Diaz’s Extraction is a page-turning, gripping read — sure to entertain lovers of Hunger Games and Ender’s Game — and leave them breathless for more. America’s worst nightmare has come true: a ‘cyber-Pearl Harbor’ attack by unknown terrorists has crippled the nation’s power grid — and brought the land of the free to its knees. As widespread panic and violence ravage the country, its ruthless captors issue their ultimatums…and vow an apocalyptic reckoning. A defenseless nation scrambles to fight an invisible invasion. Chief among America’s last line of defense is Lana Elkins, head of a major cyber-security company — and former top NSA operative — who returns to her roots to spearhead the Agency’s frantic efforts to combat the enemy’s onslaught on its own terms. While she and her superiors take action to infiltrate a terrorist hotbed overseas, much closer to home ruthless jihadists with a nuclear bomb hijack a busload of schoolchildren — including Lana’s daughter — and race toward a rendezvous with Armageddon in America’s greatest city. 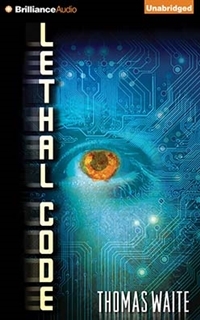 With Lethal Code, Thomas Waite raises the international techno-thriller to dangerously exciting levels — introducing a valiant new action heroine, and initiating a series that brings a harrowing new edge of realism to sensational speculative fiction. Frontiers can be found in all directions. Frontiers of time and space, as well as frontiers of courage, devotion, love, hate, and the outer limits of the human spirit. This outstanding collection of stories by one of science fiction’s premier talents spans the length and breadth of history and the universe, while exploring thought-provoking new ideas and dilemmas. From the Baghdad of the Arabian Nights to a vast interstellar empire thousands of years in the future, from the Vatican to a one-man vessel drifting in the vast emptiness of the Asteroid Belt, from virtual reality duels to the subtle intricacies of time travel and a golf tournament on the Moon, here are tales of scoundrels and heroes, scientists and explorers, aliens and artificial intelligences, and even a young Albert Einstein. 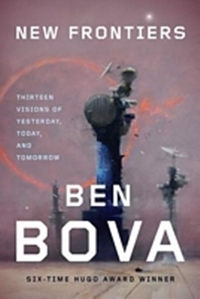 Each of them stands at the border of a new frontier and must venture out into unexplored territory — thanks to the limitless imagination of Ben Bova. 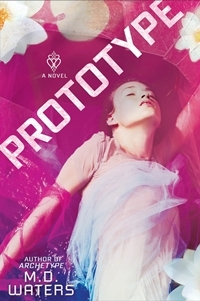 The stunning debut that began with Archetype — and has readers buzzing — concludes in Prototype, when a woman’s dual pasts lock onto a collision course, threatening her present and future. Emma looks forward to the day when she can let go of her past — both of them. After more than a year on the run, with clues to her parents’ whereabouts within her grasp, she may finally find a place to settle down. Start a new life. Maybe even create new memories with a new family. But the past rises to haunt her and to make sure there’s nowhere on the planet she can hide. Declan Burke wants his wife back, and with a little manipulation and a lot of reward money, he’s got the entire world on his side. Except for the one man she dreads confronting the most: Noah Tucker. Emma returns to face what she’s done but finds that the past isn’t the problem. It’s the present — and the future it represents. Noah has moved on and another woman is raising their daughter. In the shocking conclusion to M.D. Waters’s spectacular debut, Emma battles for her life and her freedom, tearing down walls and ripping off masks to reveal the truth. She’s decided to play their game and prove she isn’t the woman they thought she was. Even if it means she winds up dead. Or worse, reborn. Lord of the Flies in a 21st century high school setting. 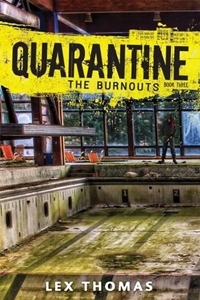 Welcome to Quarantine #3: The Burnouts, where readers of The Maze Runner, Gone, and Divergent go when they’re ready for more dark, compelling, survival stories. In the third and final Quarantine book, David and Will are alive…but on the outside of McKinley High. Lucy is the last of the trinity left inside, where Hilary will exact a deadly revenge before taking over McKinley and bringing one final reign of terror to the school before the doors open for good. But the outside world is just as dangerous for carriers of the virus.